The Nikkor 55-200mm VR is a common kit zoom for the DSLR range. I tried one on my Nikon V1 using the FT-1 adapter. I had previously tried other AF-S lenses but felt that they were cumbersome and the requirement to use single frame focus rather than continuous didn’t work with the way I shoot. A recent firmware upgrade for the FT-1 now allows continuous focus so this made for a more interesting experiment. I took the camera and lens to the Punta Gorda History Park which is a good place to shoot birds and bugs. 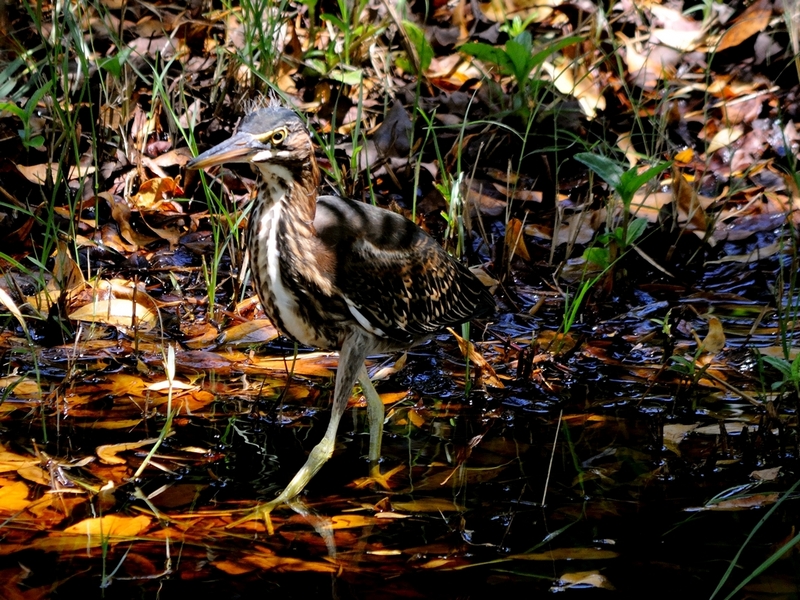 It was a bit hot for birds but I did manage to spot this immature Green Heron in the shadows under the trees. I was surprised to see it there because this isn’t a pond, it’s just a mud puddle left over after recent rain. It’s clear that his dappled plumage fits into the woodland setting. 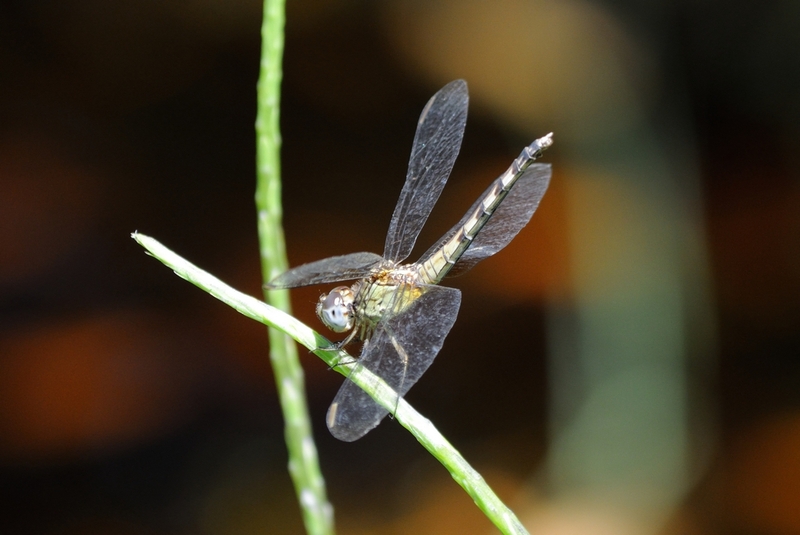 There were plenty of dragonflies around. The 55-200mm isn’t a macro lens but, it does have a minimum focus distance of just over a yard. 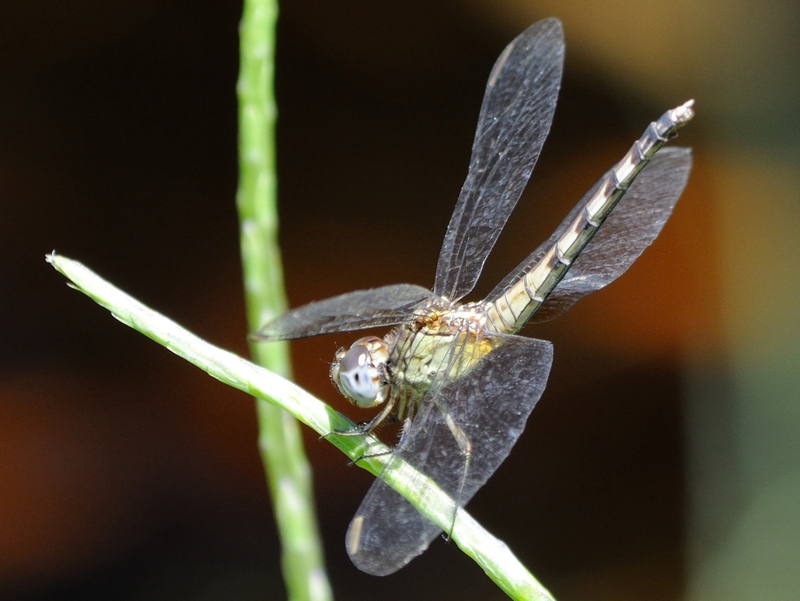 I took this shot of a dragonfly and found it to be acceptable but, not in the same class as the Leitz ELPROs I normally use for bugs. The first image here is the full frame and the second a crop of the same image. 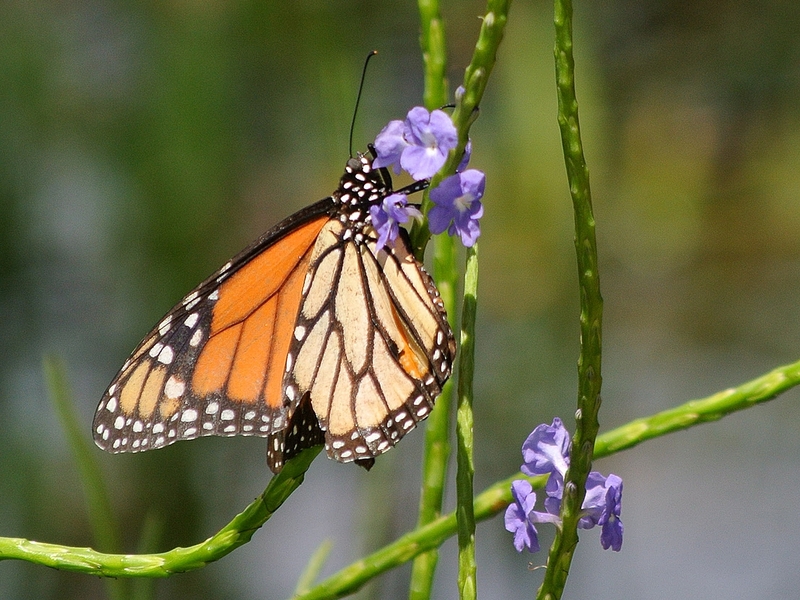 Finally, while shooting the dragonfly, I noticed a monarch butterfly feeding on the same bush. In shooting the closeups, I found that the camera had a tendency to miss focus on the subject. I tried manual focus to get to the basic focus on a near object and the AF would then work normally. I suspect that it was just finding a reasonable focus point on the background and settling for that instead of what I wanted. Ergonomically, this works a lot better than the 70-300mm or 70-200mm VR. Both of those are large lenses and I have some concern with the CX lens mount with that much weight on it. The 55-200mm is a bit large but, it is light and easy to handle. This entry was posted in Bird, Bug, Camera Gear, Shooting closeups and tagged butterfly, dragonfly, Green heron, monarch, nikkor 55-200mm VR, Nikon V1, Punta Gorda History Park. Bookmark the permalink.